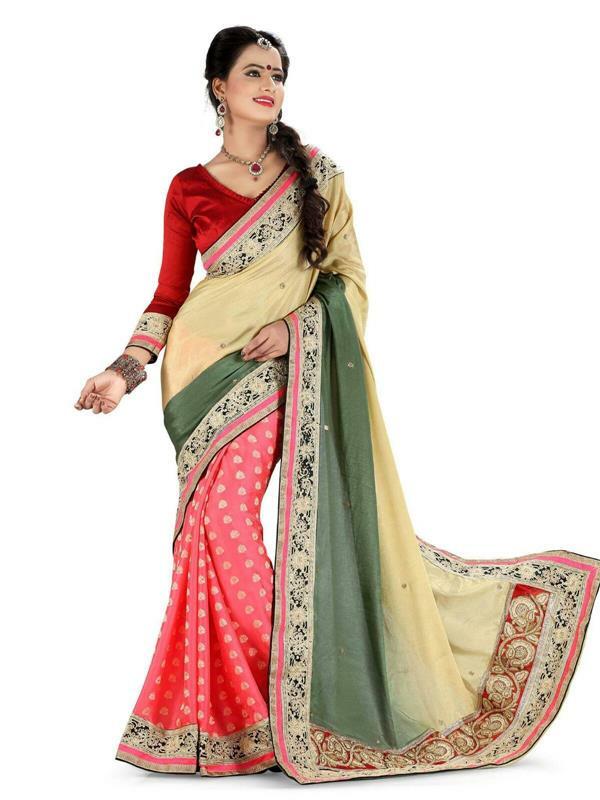 Get the simplicity and elegance by wrapping this red and cream Georgette half Braso Half Net saree. 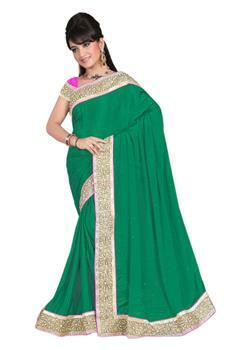 The buttis in pallu epitomize the entire look of saree. The blue and golden border embellished by zari embroidery, diamonds and so on. It comes with matching blouse fabric.